The launch of my recent book, well actually it seemed to turn out as a kit, went very well last week with the support of so many family and friends. I was so pleased to be able to launch it regionally, from Toowoomba where I live and work. I want to make sure that I introduce the kit and the way it works best across all of Queensland but I was very happy to have those people around me on the day that have enabled me to actually make it happen! This book was in the making for about 11 years. Every time I just thought it might be ready to publish, I would do another workshop and find out more information and gather more stories and the cycle continued! My computer seemed to have files everywhere with information about Dyslexia and an incredible variety of bits and pieces that all needed to be included in the book. I decided the more I looked at it, the bigger it grew. I needed somebody to help me edit as well as put together the many files in an order that would work for everybody. This was a big ask and I did not want to discard anything that may be a solution for one person. So, I advertised for an editor and employed two very fast typers to make it all come together. Hence the finished product. The kit turned out to be a little bigger than I thought it would be originally, when I applied for the ISBN I had estimated it would be approximately 50 pages long, never expecting it would end up over 300! I guess that is what happens when you have such a rich audience who are willing to share their stories and lives with you every day. The design of the kit uses techniques from within the kit itself to make it accessible and easy to read. It utilizes coloured tabs to separate each chapter, which each cover a different aspect of Dyslexia, from what Dyslexia actually is, to strategies and solutions, to examples, diagnosis and much more. It is also written on buff coloured paper and uses different fonts and different spacing to share the information with the readers. It has examples of coloured overlays and different coloured papers and also has a coloured ruler in each kit. There are different examples of brain gym activities and simulations and experiences of different types of Dyslexia. It can be used by a very wide variety of audiences. It can be just read for information or it can be used by parents and students and educators to explore more about what dyslexia is and how it influences and effects individuals differently. It can be used as a practical base that people can experience what individuals with Dyslexia see when they look at text. I have tried to replicate a variety of differences that are explained to me every day when I work across schools and training organisations. I also have tried to explore individual difference as much as I can. Every person is unique and I have tried not to leave out anything that may be helpful when we are supporting individuals with reading and writing issues. The kit is unique as it links practical with theory and tries to also link with the reader who is engaging with it. If you are interested in buying the kit, it is available to buy in the online shop. You just need to click on the link and it will take you through to paypal. You can also ring me or email me direct if you want to buy a copy. I was so lucky to have guests and speakers on the day who have been part of my journey over the past 11 years, as I was reminded by Randall, who was one of the first teachers I worked with on the Gold Coast. His influence and shared knowledge is invaluable and helps shape and weave stories of students and the use of colour and changed attitudes and confidence in learning form the basis of why this book is so important to me. Thank you Randall for sharing your story on the day. Councillor Joe Ramia launched the book for me. 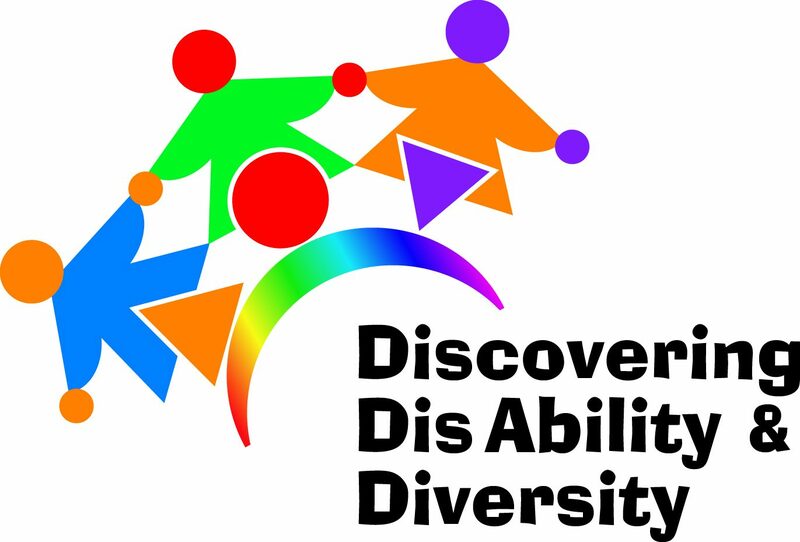 Joe is the chair of our RADAC – Toowoomba Regional Council Disability Advisory Group. It was great to have him there as we work together on so many interesting and inclusive community projects. This book linked into this community work so well. I was also very lucky to have Graeme Storey speak at the launch as well. Graeme has been a leader in our local education community, especially with his work supporting and growing the Toowoomba Flexischool. He has encouraged and supported children and adults with educational difficulties over many years. To have him share his personal story and some of the struggles he lives with every day was inspirational and incredibly honest. Thank you for your part in the day and in my life journey as well. There were many others in the audience who made the day super special. It was good to have my sisters and their families present for the day. They have helped me in all areas across the years and in the past few weeks have helped assemble things and give me opinions and put the whole launch together. My nieces and nephews have all been part of the process too. My carers also added a few new jobs to their repertoire and we all had many really late nights in the lead up to the publishing process. There were many edits and re-edits of the contents. There were also some very last minute changes so thank you very much to Ellipsis Printing, who still managed to get the job done in time! I definitely seem to cut things very fine with my timeframes, but thankfully they usually come together just in time! Maybe that is thanks to all the amazing help I have in all facets of my life. I would have loved my parents to have been there at the launch, however, I know they were there in spirit helping support me and this work that they know has been central to my life over the last 10 years. Without their support in that time I know this would not have come together so well. I was very lucky to have Channel 7 local news cover the launch of the kit and I really thank them for creating and showcasing a story that covered many facets about dyslexia and how it can effect individuals. It also explored how the kit could help across a variety of different areas. Sharing our stories across our communities and educating people about how they can explore solutions will often help break down barriers and create real change. The media have the chance to do this and I really believe that this shared information can create a society that values all and understands more about the differences that exist in our local communities. It was good to also have the Queensland Disability Network local support group members come along and support me too. After the launch, we ran a disability awareness session for members and the community as part of disability action week celebrations. Paige Armstrong, the CEO of The Queensland Disability Network came to Toowoomba for the day. Paige said a few words and then we had a luncheon then that was followed by the disability awareness session. We had a mixture of young and old with both physical as well as hidden disabilities attend and try all of the assembled experiences. There were vision glasses, physical challenges and hidden disabilities to try. We had wheelchairs that people had to manoeuvre around many obstacles in the library. They had to open doors, go into the lifts and get a drink of water from the machines. After completing all of the challenges, they were awarded a wheelchair certificate. Another part of the afternoon was to create a canvas from all participants. We had every person who attended the local support group disability awareness session put a handprint on the canvas as well as sign their name and add a comment if they wanted about inclusion and disability. This completed work will be presented to council and will hang somewhere within the council building to remind us of Disability Action Week 2018 and the link between Toowoomba Regional Council, QDN, and the local QDN support group. To be able to celebrate together and to launch my dyslexia kit as part of our local community was both exciting and a real privilege. As a community we really live inclusion and we need to support and grow this more every day.